Hospice nurses provide front-line care for patients and support for their families. Their job is challenging and complex, managing both the clinical care of patients and their medication, and their personal and psychological needs. They travel many miles to visit patients, some using motorbikes, often through difficult terrain and to remote rural locations. 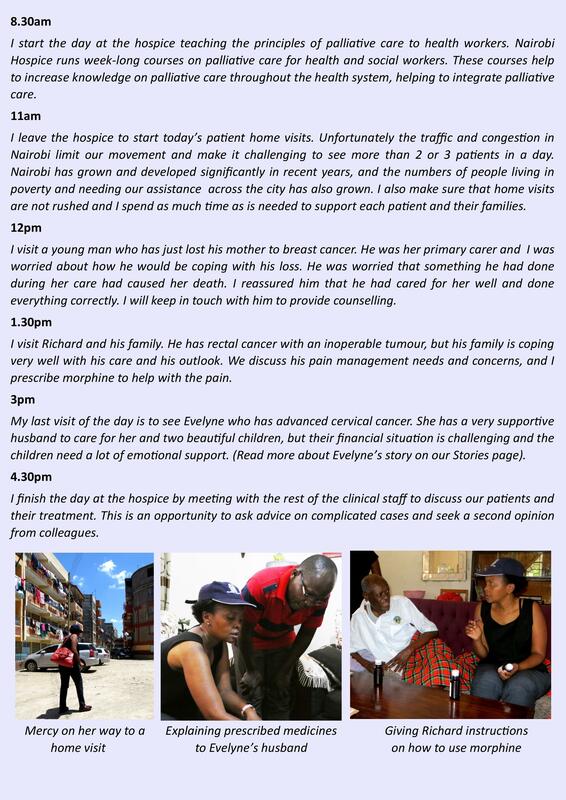 Nairobi Hospice nurse Mercy Kamau explains her typical working day. You can support the valuable work of hospice nurses by donating here.